THE plane that was used to fly former First Lady Mrs Grace Mugabe from Singapore to attend the funeral of her mother Ambuya Idah Marufu was paid for by well-wishers and not by Government, it has emerged. In the past few days, social media was awash with unverified reports claiming that Government splashed money on chartering a plane for Mrs Mugabe. In an interview yesterday, Presidential spokesperson Mr George Charamba clarified the issue saying Government did not pay a single cent towards the chartering of the plane. He said the plane was chartered by a group of business people who were approached by President Mnangagwa to fly former president, Mr Robert Mugabe, who was scheduled to travel to Singapore for urgent medical attention. On the day when Mr Mugabe was scheduled to depart for Singapore, the condition of Ambuya Marufu deteriorated forcing him to cancel his travel arrangements because Mrs Mugabe was also out of the country. Mr Charamba said it had to be noted that Government had a statutory obligation to take care of the welfare of a former president including health care. “The former First Family could not attend the inauguration of the President because both the former President and the former First Lady were unwell. The former First Lady had in fact left the country for Singapore for medical attention,” said Mr Charamba. “That is precisely why they had to send their daughter (Bona) and son-in-law (Simba Chikore) to represent them at the inauguration ceremony. In terms of the plans (that were there), the former President was due to leave the country for urgent medical attention in Singapore that week (of inauguration). But as fate would have it, the mother in law’s condition took a turn for the worse initially and as we now know for the worst. Meanwhile, Government mindful of its obligation in terms of the conditions of service of a former Head of State, and those conditions include medical care and expenses associated with that care including travel. Except, Government did not have a plane to fly the former President or the means for chartering such a plane. “Aware of the Government obligations and realising the urgency of the whole matter, President Mnangagwa approached a group of business people and pleaded with them to assist with the movement of the former President. Consequently, the group of business people committed resources for chartering a private jet to fly the former President to Singapore and back. As fate would have it, on the eve of the former President’s departure, the condition of Ambuya Marufu deteriorated leading to her sad passing on. 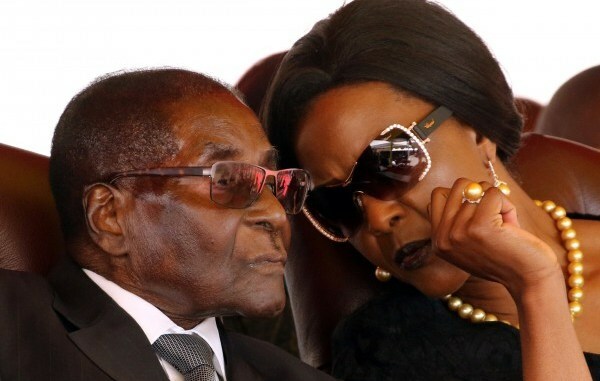 “That forced the former President to cancel his travel arrangement given that Amai Grace Mugabe was also not just unwell but out of the country. The President then pleaded with the same business people to allow the private jet which had been paid for anyway, to still to proceed to Singapore as per the original schedule but this time with a view to collecting Amai Mugabe back home in the light of the bereavement. Mr Charamba said President Mnangagwa was grateful to the business people who extended a helping hand to Government. “The President wishes to express his profound gratitude to those well-wishers who rose to the occasion when the need arose,” he said.